Checking under the bed for a scary monster is a big part of every little kid's childhood. All little one know that first you must check under the bed, then the closet, then behind the curtain, then one last time under the bed just to make sure. There's no such thing as being too careful, when you're looking for the Boogey Man. After all, he is the entity that is responsible for haunting the nightmares of children. Be honest, were you afraid of the big, bad, Boogey Man when you were a kid? If you were, then what better way to pay homage to your most feared childhood monster than by wearing this Boogey Man Mask. Plus, you get the added bonus of scaring every little annoying kid on your block. They'll run in terror when they see you! This Boogey Man mask is a quality mask that is made from latex. It appears to have a ghostly-like gray head that forms a small tip in the back. The bloodshot eyes pop out from the mask. There are tiny slits underneath so you can see out easily while you terrorize the neighborhood kids. 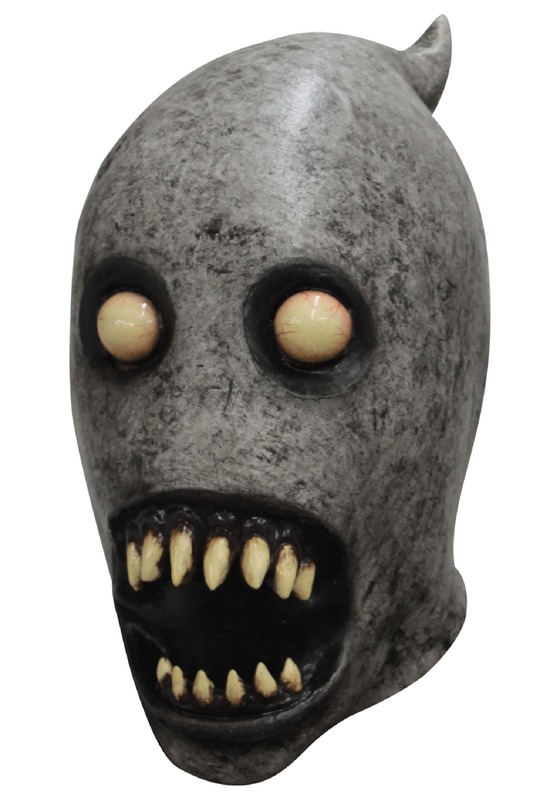 The mouth is one of the scariest features of this mask because of the sharp jagged teeth. Put on the mask and transform into every kid's worst nightmare!